You may ask: Why should I try to fix my procrastination tendencies? Being a procrastinator isn’t as bad as being, say, a serial killer. But isn’t it on the same level as a shirker, a lazy slug, a worthless idler? No one wants to be known as that, especially during finals season at Southern Utah University. 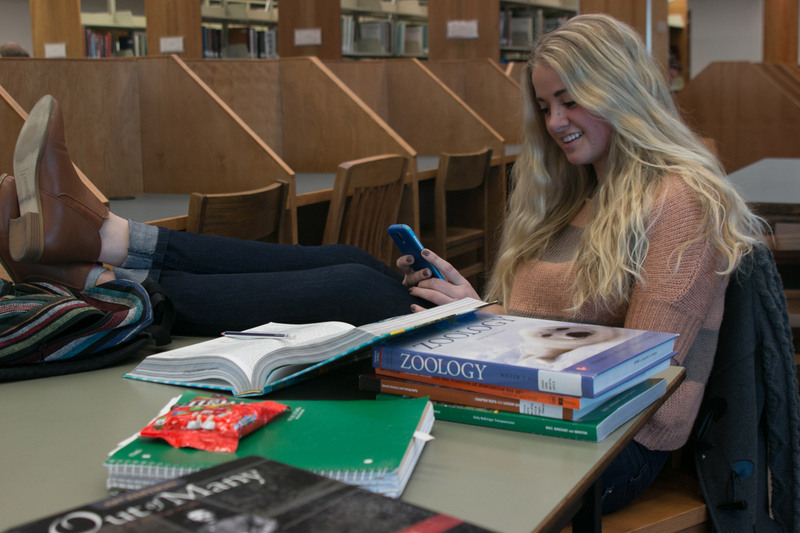 Dr. Bradley Gregory, SUU assistant professor of psychology, has taken to the books to learn why students knowingly procrastinate when they admit that the habit is detrimental to their grades and stress levels. “My research is attempting to determine the beliefs that students hold, and what beliefs or tendencies will best predict if a student is going to procrastinate,” stated Gregory. According to Gregory, these are the most prominent and recurring tendencies amongst students that lead to procrastination. Whether this means you don’t feel like you can pass the test, complete an assignment or adequately present on a subject, low self-efficacy creates defense mechanisms, according to Gregory. He went on to explain that low self-efficacy is where students feel they can’t reach a certain outcome so they won’t even attempt at it or wait till the 11th hour while telling themselves that if they wait they will be wiser when the times comes. “A low self-efficacy is the most common belief that leads to procrastination. Students don’t feel confident in doing the assignment well so they will just put it on the back burner where they don’t have to stare it in the face,” explained Gregory. When it comes down to the final grade on an assignment, who is to blame if the grade is lower than expected? For some it’s themselves, maybe because they didn’t study enough Gregory explains this as an internal locus of control and people with this internal blame are less likely to procrastinate. But on the opposite side of the coin is an external locus of control explained by Gregory as students putting the blame of their poor grades or lack of knowledge on anyone but themselves and no matter how hard they try some outside source — such as a professor — will make it so they can’t get the grade. If you’re taking a long look in the mirror wondering if you may be a habitual procrastinator, don’t look too long because according to Gregory having an over inflated view of oneself can lead to persistent procrastinating. A major proponent of psychology and procrastination, in Gregory’s opinion, is motivation and goal orientation. He went on to explain that a student’s motivation will either be subject mastery or performance orientated, and if it’s the latter they’re more likely to procrastinate. That lack of motivation can also reside in students who don’t see the connection between an assignment and their future careers. Along with the many beliefs that lead to procrastination, there are habits that lead to constant study such as perfectionism. Gregory explained that those who seek perfection will typically begin projects early so they can constantly refine the project before the due date till it shines. With Gregory describing that procrastination is the act of purposely putting off a task knowing that it will be worse later, he stated that when a student believes that the reason they delay until the final hour is because they know that having the harsh deadline will make them work better, that’s not procrastination. “The difference is students who know that putting off the assignment will make it better versus when others who delay their ability to perform drops,” he remarked. So with finals looming, what are you going to do now to curb your negligent disposition? Gregory gives a few pointers to make that grade happen now: start early, reprioritize and recognize your work will truly be better if you start now. “If students continue to procrastinate they will get worse and therefore get worse grades, so start early to master the subject and the good grades will flow after,” declared Gregory. So put down the phone, close the Facebook browser and remove all distractions now before you mind goes veering down a rabbit hole that only leads to habitual practices that causes bad grades and unwarranted stress.